Dispatch: Cancer Screening, E-Cigs, First Lady on Food, Taxing "Pizza"
Non-communicable diseases are often associated with our behavior; tobacco remains the poster child and efforts at reduction in its use has provided lessons on how to affect similar change for other health concerns. In a new review in the Journal of Studies of Alcohol and Drugs, the subject is alcohol, but it could just as well be Big Sugar or in some alternate future, Big Marijuana. So what works, what policy tools can we employ to nudge behavior away from substances that can cause harm. Spoiler alert – education is not on the list. If 20 years ago you had told the American Council on Science and Health that tobacco company stocks would be outpacing the S&P 500 by 600 percent for investor return in the two-year period leading into 2016, we'd have thought you were proposing some bizarre science-fiction story. While I understand the power of addiction, that is only an issue for smokers; and future generations would be far more aware of the dangers of smoking and not become smokers, I'd have argued. If you were living in Austria, Russia, and Sweden in August of 1805, declaring war on France, led by the legendary tactician Napoleon Bonaparte, must have felt like a suicide mission. It basically was. He stomped through Europe and it was only seven years later, longer than all of World War II, when he finally made a mistake and tried to tough out a Moscow winter in the open. The American Council on Science and Health (ACSH), a public health education and consumer advocacy nonprofit devoted throughout our 35 year history to the promotion of sound science in public health policy, urges the Oklahoma Legislature to promote the benefits of e-cigarettes as a method of Tobacco Harm Reduction (THR) in helping smokers quit. CrossFit Inc.'s CEO Greg Glassman was once in a war on Coca-Cola - at least until it was revealed he was only in a war on Coca-Cola because Coke gave money to his competitors. Then he changed gears and claimed to be in a war against soda. But then it was revealed that he drinks a lot of soda - and a lot of margaritas - and switched gears to claiming he is not in a war on soda, he is in a war for public health, and simply believes that if a researcher has ever taken money from a company, they are unethical. 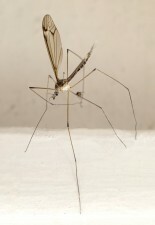 Despite an increase in mosquito-borne diseases, many people are terrified of Anvil an effective killer of adult mosquitos, but completely harmless to humans. People are are also very worried about the effect of the spray on the environment. Taken together, there is often substantial protest when any kind of spraying is proposed. Nowhere was this more apparent than in Ocean Beach, one of 17 summer communities located on Fire Island, a barrier beach off the coast of Long Island, N.Y.